This article appeared in Wise Traditions in Food, Farming and the Healing Arts, the quarterly magazine of the Weston A. Price Foundation, SPRING 2002. The following applies mainly to human disease protocols. Please discuss with your vet safety for and applicability to your pet. Blue Ice Fermented Cod Liver oil Fermented CLO is easier to digest than regular CLO; it contains 2.5 times more Vitamins A & D, and contains something referred to as "Price Factor X" - which offers additional health benefits. This being said, the fermented CLO does have a very strong "cod-liver" taste -- so some may not be able to tolerate it. Carlson Laboratories - Norwegian Cod Liver Oil (CLO) - it comes in a pleasant lemon flavor and has been tested for pollutants. Because of its fairly pleasant flavor, even children are unlikely to object. In fact, I found that adding it to my cereal milk in the morning, gives the milk a "lemony" flavor and I can't even taste the CLO. Another one that is of good quality is Nordic Naturals fish oil. This fish oil also comes in pleasant flavors. You should be able to find at least one of the above in your local health food store -- maybe even your better grocery store. For growing children, and for almost every disease condition, cod liver oil is the number one superfood, the supplement of choice. Dr. Price found that the combination of cod liver oil with high-vitamin butter, from cows eating rapidly growing green grass, was nothing short of miraculous, reversing tooth decay and bringing patients back from the brink of death. Please also refer to "dangers"
Brain development: Researchers from Australia's Adelaide Women's and Children's Hospital found that administering over-the-counter fish oil supplements to boost omega-3 levels helped premature baby girls score better on cognitive tests at 18 months of age. This benefit was not seen in premature boys, but the researchers believe that's because boys and girls have differing rates of development. Study leader Maria Makrides had 272 nursing mothers of premature children take six omega-3 supplement pills a day. This was meant to replicate the amount of omega-3 that full-term babies usually receive in the womb during the third trimester of pregnancy. Eighteen months later, they found that female babies of moms taking the placebo scored slightly lower than the moms taking the omega-3s. Cod liver oil contains more preformed vitamin A and more of the sunlight vitamin D per unit weight than any other common food. One hundred grams of regular cod liver oil provides 100,000 IU of vitamin A, almost three times more than beef liver, the next richest source; and 10,000 IU vitamin D, almost four times more than lard, the next richest source. Of course, cod liver oil is only consumed in small amounts, but even a tablespoon (about 15 grams) provides well over the recommended daily allowance for both nutrients. Samples may also naturally contain small amounts of the important bone- and blood-maintainer vitamin K.
Studies have shown that cod liver oil is very effective against arthritis too. "Scientists at Cardiff University (Wales, UK) have confirmed what thousands of people with arthritis have believed for years. Cod liver oil is effective in treating joint pain and can slow, even reverse the destruction of joint cartilage." "Our most recent work shows that by exposing human osteoarthritic cartilage to cod liver oil in the laboratory for just 24 hours we can turn off, or reverse, the action of the derogative enzymes and inflammatory factors affecting the tissue." Laboratory research has shown that not only can cod liver oil treat arthritis, but actually reverse the damage that has been done. A new study shows that vitamin D in cod liver oil will not allow your immune system to attack your joints. Study participants who got the most vitamin D from the oil had the lowest risk of arthritis. And as a bonus, cod liver oil will also normalize your cholesterol, lower your blood pressure, and keep your arteries open. Cod liver oil is packed with EPA and other omega-3 fatty acids! That means cod liver oil can not only reverse your arthritis, but also normalize your cholesterol, lower your blood pressure, and keep your arteries open. The benefits of cod liver oil over regular fish oil is that it's loaded with natural Vitamin D, and a hot-off-the-press scientific study shows that: the Vitamin D in cod liver oil keeps your immune system from attacking your joints; and people in this study who got the most Vitamin D had the lowest risk of arthritis. Many people who may not be able to tolerate the taste of Cod Liver Oil no longer have an excuse not to take it as there is now a lemon-flavored variety that's quite palatable (not all brands succeed here, but the one to the right is what I am using and it may be available in your local health food store. Professor Caterson explains that the Omega-3 fatty acids in Cod Liver Oil work by switching off the aggrecan- and collagen-degrading enzymes that break down joint cartilage. This, in effect, slows the progress of cartilage destruction that occurs in arthritis, reduces inflammation and thus lessens pain. He goes on to say, "Two years ago, research teams led by Professor John Harwood and myself at Cardiff University reported findings suggesting that the Omega-3 fatty acids in Cod Liver Oil can reduce cartilage degradation and inflammation in arthritic disease. Our most recent work shows that by exposing human osteoarthritic cartilage to Cod Liver Oil in the laboratory for just 24 hours we can turn off, or reverse, the action of the degradative enzymes and inflammatory factors affecting the tissue". Heart disease after a heart attack and after heart surgery. 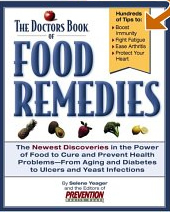 Cod liver oil alters the linings of the arteries in such a way as to improve healing after damage. This is attributed to the omega-3 fatty acids but vitamin A, D and K all have important roles to play in facilitating mineral absorption, improving muscle function and supporting elasticity of the blood vessels. The inflammation-reducing prostaglandins made from EPA help mediate the inflammatory response in the arteries. In other studies the heart-protective effect was associated with changes in the muscle response to serotonin, increasing the heart's ability to "relax. "1-15 In a study with rats, treatment with cod liver oil actually caused artery-blocking atheromas to become smaller and blood vessel diameter to enlarge.55 Weston Price noted that heart attack deaths increased during periods when the vitamin A content of the diet was low. Cod liver oil can provide vitamin A on a continuous basis throughout the year. Cod liver oil provides vitamin D that helps build strong bones in children and helps prevent osteoporosis in adults. In numerous studies, the elongated omega-3 fats found in cod liver oil have been shown to improve brain function, memory, stress response, immune response, allergies, asthma, learning and behavioral disorders, including bipolar syndrome and manic-depression. "If you want to prevent learning disabilities in your children," said David Horrobin, distinguished medical and biochemical researcher, "feed them cod liver oil." Obesity, hypertension, insulin resistance, and stroke. Evidence is accumulating that these diseases of civilization are the result of high levels of omega-6 fatty acids and low levels of omega-3 fatty acids along with deficiencies of fat-soluble vitamins. Cod liver oil given to infants after birth and during the first year had no protective effect against type 1 diabetes but it nevertheless is an important source of nutrients for optimal infant health.22 In more than forty trials, vitamin A has been shown to reduce morbidity and mortality of children.25 Cod liver oil was the supplement of choice in many of these trials. Books on feeding infants published in the 1930s and 1940s routinely recommended cod liver oil, starting with 1 teaspoon at the age of three weeks. It was Dr. Spock who threw this wisdom out the window by recommending vaccinations instead of the powerful nutritional support of cod liver oil. Topically applied, cod liver oil contributes to faster wound healing and improvement in skin quality, An excellent treatment for diaper rash and other skin conditions is cod liver oil mixed with zinc oxide. Cod liver oil taken orally helps maintain soft skin and minimize wrinkles. Cavities: Secondary dentine, a less well-organized form of tubular dentine, is produced throughout life as a patching material where cavities have begun, where the overlying enamel has been worn away, and within the pulp chamber as part of the aging process. Sometimes when cavities occur, production of secondary dentine can "heal" the decayed spot or rebuild portions of the tooth that have worn away. If vitamin D is adequate, secondary dentine will be well calcified. If vitamin D is lacking, dentine will be of poor quality or not present at all. Eating fish will not provide the levels of nutrients that are found in cod liver oil. Even in heavy fish-eating populations, the addition of cod liver oil improves health.42-43 And taking fish oils is not the same as taking cod liver oil. One tablespoon of regular cod liver oil and one-half tablespoon of high-vitamin cod liver oil provide the amount of elongated omega-3 fatty acids found in twelve 1,000 mg fish oil capsules. If pregnant or pregnancy is possible, limit cod liver oil intake to not more than 30,000 IU A per day. Two tablespoons of regular cod liver oil, one tablespoon high-vitamin cod liver oil is a dose that is safe and adequate for pregnant women and, in fact, all adults. There is no indication that anyone needs a dose of cod liver oil exceeding two tablespoons except in certain special circumstances. More is not better. Infants and growing children can tolerate higher-per-pound doses of vitamin D and cod liver oil. Recommended dosages are as follows: one teaspoon from birth to six months, two teaspoons from six months to three years, one tablespoon from 4-10 years and two tablespoons thereafter during winter months or when not sunning. Never combine sources of vitamin A. Vitamin A and its derivatives are found in skin lotions and creams, oral medications and vitamin supplements. The 30,000 IU limit is from all sources. If you sun regularly and spend winter months in the South, you need to find another way to get elongated fatty acids (such as organ meats). You really do not want too much vitamin D. High doses of cod liver oil are used to promote atherosclerosis in animal studies. When using a UV-B meter and sunning to raise vitamin D, you will need the Vitamin D and Sunlight protocol. Cod liver oil can be reduced or eliminated depending on your location and exposure times. Cod liver oil mixed with zinc oxide is better for the skin than any of the prescription medications, and safer. Many brands of cod liver oil are processed to remove all the vitamins A and D and then have synthetic vitamins A and D added back in. These products should be completely avoided as the synthetic versions of A and D are toxic. If in doubt, it's best to contact the manufacturer and inquire whether the A and D in their cod liver oil is naturally occurring or synthetic. One concern about taking cod liver oil is the presence of contaminants—heavy metals (such as mercury, cadmium and lead), PCBs and so forth. Fortunately, consumers need not worry when it comes to cod liver oil. All cod liver oils in the US must be tested according to protocols of the Association of Analytical Communities (AOAC) and approved free of detectable levels of 32 contaminants before they can be imported into this country. Furthermore, mercury is water soluble. It may be present in the flesh of fish, but it is not present in the oil. Another concern is rancidity. Cod liver oil can become rancid if improperly handled. In a 1988 study, peroxide values (indicating rancidity) ranged from a low of 2 to a high of 44.7. Nevertheless, properly handled cod liver oil is relatively stable. It contains 21 percent saturated fatty acids and 57 percent monounsaturated fatty acids, which provide stability. The fishy smell of cod liver oil is due to the presence of small amounts of fish protein and is not a sign of rancidity. To ensure that your cod liver oil is fresh, avoid buying the large economy size or the end-of-season sale item. Buy cod liver oil in small dark bottles and keep them in a cool dark place. Cod liver oil need not be refrigerated after opening if it is used up quickly—within two months. There is some research surrounding the possible toxicity of Cod Liver Oil. Over-elevated serum levels of vitamin D are a possibility if you combine summer or southern sun and cod liver oil. So if you are spending a lot of time out in the sun during the summer months, it's probably best to cut back on the dose. If you are unsure, you should test your blood levels of vitamin D. Cod liver oil use is safe in most of the US and all of Canada in winter but it should not be combined with other sources of vitamin D without careful testing and monitoring. High levels of vitamin A are not recommended for certain types of liver disease in which there is altered vitamin A metabolism. This is frequently the case with alcoholism. Alcoholics should not take high doses (not more than 1-1.5 tablespoons of regular cod liver oil) and what they do take should be accompanied by zinc supplements. The enzymes needed for vitamin A metabolism in the liver are zinc dependent. Aviram M, Brox J, Nordoy A. Acute effects of dietary cod liver oil and cream on plasma lipoproteins. Ann.Nutr Metab 1986;30:143-8. Brox JH, Killie JE, Gunnes S, Nordoy A. The effect of cod liver oil and corn oil on platelets and vessel wall in man. Thromb.Haemost. 1981;46:604-11. Brox JH, Killie JE, Osterud B, Holme S, Nordoy A. Effects of cod liver oil on platelets and coagulation in familial hypercholesterolemia (type IIa). Acta Med.Scand. 1983;213:137-44. Vognild E, Elvevoll EO, Brox J et al. Effects of dietary marine oils and olive oil on fatty acid composition, platelet membrane fluidity, platelet responses, and serum lipids in healthy humans. Lipids 1998;33:427-36. Aviram M, Brox J, Nordoy A. Effects of postprandial plasma and chylomicrons on endothelial cells. Differences between dietary cream and cod liver oil. Acta Med.Scand. 1986;219:341-8. Brox J, Olaussen K, Osterud B et al. A long-term seal- and cod liver oil supplementation in hypercholesterolemic subjects. Lipids 2001;36:7-13. Skuladottir GV, Gudmundsdottir E, Olafsdottir E et al. Influence of dietary cod liver oil on fatty acid composition of plasma lipids in human male subjects after myocardial infarction. J Intern.Med. 1990;228:563-8. Schmidt EB, Pedersen JO, Ekelund S, Grunnet N, Jersild C, Dyerberg J. Cod liver oil inhibits neutrophil and monocyte chemotaxis in healthy males. Atherosclerosis 1989;77:53-7. Shimokawa H, Vanhoutte PM. Dietary cod liver oil improves endothelium-dependent responses in hypercholesterolemic and atherosclerotic porcine coronary arteries. Circulation 1988;78:1421-30. Shimokawa H, Lam JY, Chesebro JH, Bowie EJ, Vanhoutte PM. Effects of dietary supplementation with cod liver oil on endothelium-dependent responses in porcine coronary arteries. Circulation 1987;76:898-905. Burchard HU, Tischendorf FW. The effects of the intake of cod liver oil on the blood lipid level, the lipoprotein profile and bleeding time. Z.Ernahrungswiss. 1989;28:84-91. Gudbjarnason S. Dynamics of n-3 and n-6 fatty acids in phospholipids of heart muscle. J Intern.Med.Suppl 1989;225:117-28. Gudbjarnason S, Benediktsdottir VE, Skuladottir G. Effects of n-3 polyunsaturated fatty acids on coronary heart disease. Bibl.Nutr Dieta 1989;1-12. Gudbjarnason S, Oskarsdottir G. Modification of fatty acid composition of rat heart lipids by feeding cod liver oil. Biochim.Biophys.Acta 1977;487:10-5. Benediktsdottir VE, Gudbjarnason S. Modification of the fatty acid composition of rat heart sarcolemma with dietary cod liver oil, corn oil or butter. J Mol.Cell Cardiol. 1988;20:141-7. Akpede GO, Omotara BA, Ambe JP. Rickets and deprivation: a Nigerian study. J R.Soc.Health 1999;119:216-22. Wilton P. Cod liver oil, vitamin D and the fight against rickets. CMAJ. 1995;152:1516-7. Requirand P, Gibert P, Tramini P, Cristol JP, Descomps B. Serum fatty acid imbalance in bone loss: example with periodontal disease. Clin Nutr 2000;19:271-6. Watkins BA, Lippman HE, Le Bouteiller L, Li Y, Seifert MF. Bioactive fatty acids: role in bone biology and bone cell function. Prog.Lipid Res. 2001;40:125-48. Sigurdsson G, Franzson L, Steingrimsdottir L, Sigvaldason H. The association between parathyroid hormone, vitamin D and bone mineral density in 70-year-old Icelandic women. Osteoporos.Int. 2000;11:1031-5. Stene LC, Ulriksen J, Magnus P, Joner G. Use of cod liver oil during pregnancy associated with lower risk of Type I diabetes in the offspring. Diabetologia 2000;43:1093-8. Seip M. [Infant nutrition in Norway in the light of recent research]. Tidsskr.Nor Laegeforen. 1991;111:2122-5. Tsutsumi K, Obata Y, Takayama K, Loftsson T, Nagai T. Effect of cod liver oil extract on the buccal permeation of ergotamine tartrate. Drug Dev.Ind.Pharm. 1998;24:757-62. Olafsdottir AS, Wagner KH, Thorsdottir I, Elmadfa I. Fat-Soluble Vitamins in the Maternal Diet, Influence of Cod liver oil Supplementation and Impact of the Maternal Diet on Human Milk Composition. Ann.Nutr Metab 2001;45:265-72. Semba RD. Vitamin A as "anti-infective" therapy, 1920-1940. J Nutr 1999;129:783-91. Lombardo YB, Chicco A, D'Alessandro ME, Martinelli M, Soria A, Gutman R. Dietary fish oil normalize dyslipidemia and glucose intolerance with unchanged insulin levels in rats fed a high sucrose diet. Biochim.Biophys.Acta 1996;1299:175-82. Chicco A, D'Alessandro ME, Karabatas L, Gutman R, Lombardo YB. Effect of moderate levels of dietary fish oil on insulin secretion and sensitivity, and pancreas insulin content in normal rats. Ann.Nutr Metab 1996;40:61-70. Shimizu H, Ohtani K, Tanaka Y, Sato N, Mori M, Shimomura Y. Long-term effect of eicosapentaenoic acid ethyl (EPA-E) on albuminuria of non-insulin dependent diabetic patients. Diabetes Res.Clin Pract. 1995;28:35-40. Jensen T, Stender S, Goldstein K, Holmer G, Deckert T. Partial normalization by dietary cod liver oil of increased microvascular albumin leakage in patients with insulin-dependent diabetes and albuminuria. N.Engl.J Med. 1989;321:1572-7. Schimke E, Hildebrandt R, Beitz J et al. Influence of a cod liver oil diet in diabetics type I on fatty acid patterns and platelet aggregation. Biomed.Biochim.Acta 1984;43:S351-S353. Beitz J, Schimke E, Liebaug U et al. Influence of a cod liver oil diet in healthy and insulin-dependent diabetic volunteers on fatty acid pattern, inhibition of prostacyclin formation by low density lipoprotein (LDL) and platelet thromboxane. Klin.Wochenschr. 1986;64:793-9. Codde JP, McGowan HM, Vandongen R, Beilin LJ. Changes in prostanoid synthesis in response to diet and hypertension in one-kidney, one clip rats. Hypertension 1985;7:886-92. Codde JP, Beilin LJ. Dietary fish oil prevents dexamethasone induced hypertension in the rat. Clin Sci. (Lond) 1985;69:691-9. Moritz V, Singer P, Forster D, Berger I, Massow S. Changes of blood pressure in spontaneously hypertensive rats dependent on the quantity and quality of fat intake. Biomed.Biochim.Acta 1985;44:1491-505. Singer P, Berger I, Gerhard U, Wirth M, Moritz V, Forster D. Changes of N-6 and N-3 fatty acids in spontaneously hypertensive (SHR) and normotensive rats after diets supplemented with alpha-linolenic or eicosapentaenoic acids. Prostaglandins Leukot.Med. 1987;28:183-93. Mancino M, Ohia E, Kulkarni P. A comparative study between cod liver oil and liquid lard intake on intraocular pressure on rabbits. Prostaglandins Leukot.Essent.Fatty Acids 1992;45:239-43. Vilaseca J, Salas A, Guarner F, Rodriguez R, Martinez M, Malagelada JR. Dietary fish oil reduces progression of chronic inflammatory lesions in a rat model of granulomatous colitis. Gut 1990;31:539-44. Guarner F, Vilaseca J, Malagelada JR. Dietary manipulation in experimental inflammatory bowel disease. Agents Actions 1992;Spec No:C10-C14. Terkelsen LH, Eskild-Jensen A, Kjeldsen H, Barker JH, Hjortdal VE. Topical application of cod liver oil ointment accelerates wound healing: an experimental study in wounds in the ears of hairless mice. Scand.J Plast.Reconstr.Surg.Hand Surg. 2000;34:15-20. Eriksen W, Sandvik L, Bruusgaard D. Does dietary supplementation of cod liver oil mitigate musculoskeletal pain? Eur.J Clin Nutr 1996;50:689-93. Lips P. Vitamin D deficiency in a multicultural setting. Ned.Tijdschr.Geneeskd. 2001;145:2060-2. Simonsen T, Nordoy A, Sjunneskog C, Lyngmo V. The effect of cod liver oil in two populations with low and high intake of dietary fish. Acta Med.Scand. 1988;223:491-8. Simonsen T, Nordoy A. Ischaemic heart disease, serum lipids and platelets in Norwegian populations with traditionally low or high fish consumption. J Intern.Med.Suppl 1989;225:83-9. Luley C, Klein B, Hanisch M, Prellwitz W. Fatty acid composition and degree of peroxidation in fish oil and cod liver oil preparations.Arzneimittel-forschung. 1988;38:1783-6. Bjerve KS. n-3 fatty acid deficiency in man. J Intern.Med.Suppl 1989;225:171-5. Rothman KJ, Moore LL, Singer MR, Nguyen US, Mannino S, Milunsky A. Teratogenicity of high vitamin A intake. N.Engl.J Med. 1995;333:1369-73. Orfanos CE, Zouboulis CC, Almond-Roesler B, Geilen CC. Current use and future potential role of retinoids in dermatology. Drugs 1997;53:358-88. Die-Smulders CE, Sturkenboom MC, Veraart J, van Katwijk C, Sastrowijoto P, van der LE. Severe limb defects and craniofacial anomalies in a fetus conceived during acitretin therapy. Teratology 1995;52:215-9. Mills CM, Marks R. Adverse reactions to oral retinoids. An update. Drug Saf 1993;9:280-90. Heckel S, Favre R, Weber P, Dellenbach P. [Teratogenicity of retinoids. A case and review of the literature]. J Gynecol.Obstet.Biol.Reprod. (Paris) 1993;22:43-7. Nau H. Embryotoxicity and teratogenicity of topical retinoic acid. Skin Pharmacol. 1993;6 Suppl 1:35-44. Pinnock CB, Alderman CP. The potential for teratogenicity of vitamin A and its congeners. Med.J Aust. 1992;157:804-9. Miller RK, Hendrickx AG, Mills JL, Hummler H, Wiegand UW. Periconceptional vitamin A use: how much is teratogenic? Reprod.Toxicol. 1998;12:75-88. Wiegand UW, Hartmann S, Hummler H. Safety of vitamin A: recent results. Int.J Vitam.Nutr Res. 1998;68:411-6. Knapp HR and others. The Effect of Cod liver oil on the Development of Atherosclerosis in an Animal Model. Proceedings of the AOCS, Ed WEM Lands, AOCS 1987, pp 35-40. Shu XO and others. A population-based case-control study of childhood leukemia in Shanghai. Cancer 1988 Aug 1;62(3):635-44. Veierod MG, Laake P, Thelle DS. Dietary fat intake and risk of lung cancer: a prospective study of 51,452 Norwegian men and women. Eur J Cancer Prev 1997 Dec;6(6):540-9. A couple of teaspons of a fish oil blend, cod liver oil or flax seed oil, every day, helps keep your skin keep flexible and moist, and can diminish fine lines.